- Voltage (VAC) : 110-120 / 220-240. Concrete mixer laboratory type, electrically operated. Designed to remove the burden some work of hand mixing. Uniform thoroughly mixed batches can be produced. The counter balanced drum is easy to tilt 1.112 to 2 cu. This is an equipment makes blood homogeneous . It is shake-less gentle mixing process . It is essential pre-process for perfect result of RBC & WBC platelets counting on Hematology Analyzer . A Concrete and mortar mixer for light professional and DIY use. Designed to give reliable service with low maintenance requirements. The compact storage size makes the Mixer a convenient product for DIY users. Time Setting Range: 1 - 1200 min. 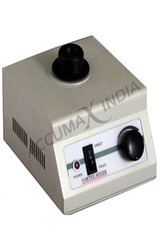 We are one the leading manufacturer and supplier of Lab Mixer. - Sufficient for up to 2 Litre Batch size. To Make Blood Homogeneous. This Is Shakless & Gentle Mixing Process To Good For Perfect Result Of RBC, WBC & Platelet Counting Available In 4 Roller For Six Nos. Vacutainer 8 Rollers For 14 Nos. Vacutainer Constant Speed & Variable Speed New Model Pro-spin Digital Display 0-50 Rpm 32 Tubes Import Substitute. Optilab Vortex Mixture Model “XH-B Which is used for Mixing of Liquid in centrifuge tube, test tubes and beakers, according to the operators strength. 5074/1: Universal Cell Mixer with 0.5 ml (8 mm) Eppendorf tubes 12 Mos. 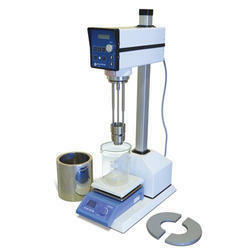 5074/2: Universal Cell Mixer with 1.5 ml (11 mm) Eppendorf tubes 12 Mos. 5074/3: Universal Cell Mixer with 13 to 27 mm test tubes 8 Nos.